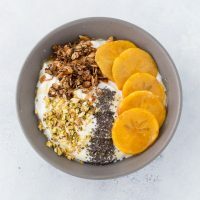 This roasted persimmon yogurt bowl is a quick and easy breakfast bowl full of winter flavors. (This post was originally published in 2014. Republishing today with new images and updated recipe). One of the things I take for granted is that I am experiencing new things everyday. Despite living in the US for over a decade, I still get to experience new flavors, new dishes and traditions now and then. I keep discovering fruits that are not native to Africa. I’ve told you about my discovery (and love) of pears, pomegranates and now it’s persimmons. I first tried a persimmon a few months ago while staying with a friend in San Diego. Her one-year old daughter and I shared one and I was hooked despite only having a few bites because the baby was enjoying it more than me and I had to be a good Aunty. So I had to get my own when I returned home. Have you ever tried a persimmon? I love the texture, sweetness and of course the vibrant color. To me it’s a mix between a pear and a pumpkin. Is that even possible? And look at that gorgeous color! 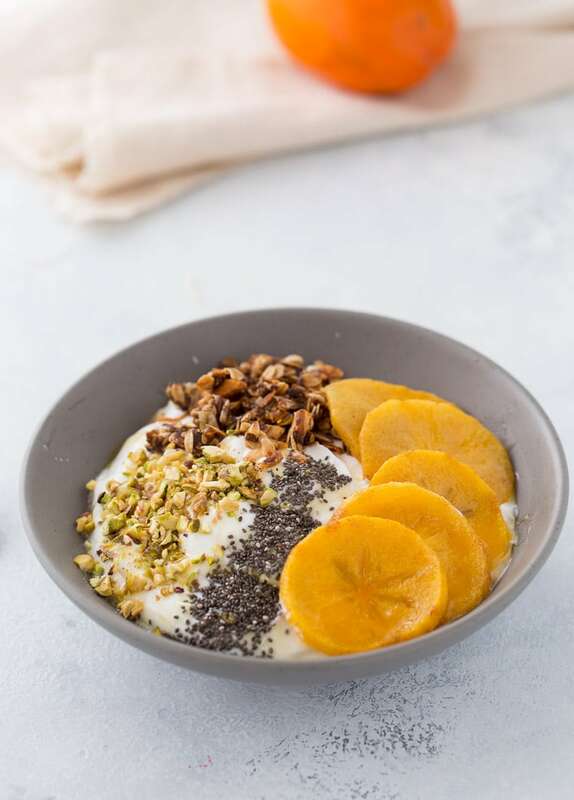 My exploration lead to this roasted persimmon yogurt bowl that I made a few days ago for a healthier breakfast. 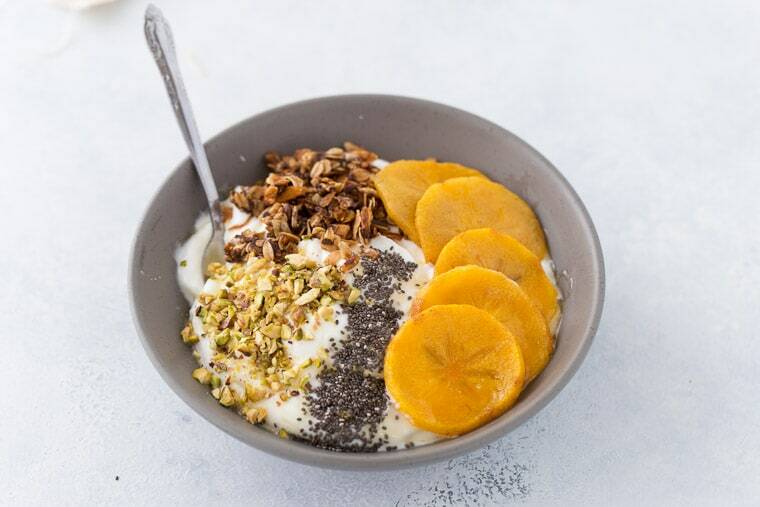 This yogurt bowl is my new way of adding texture and diversity to my mornings. 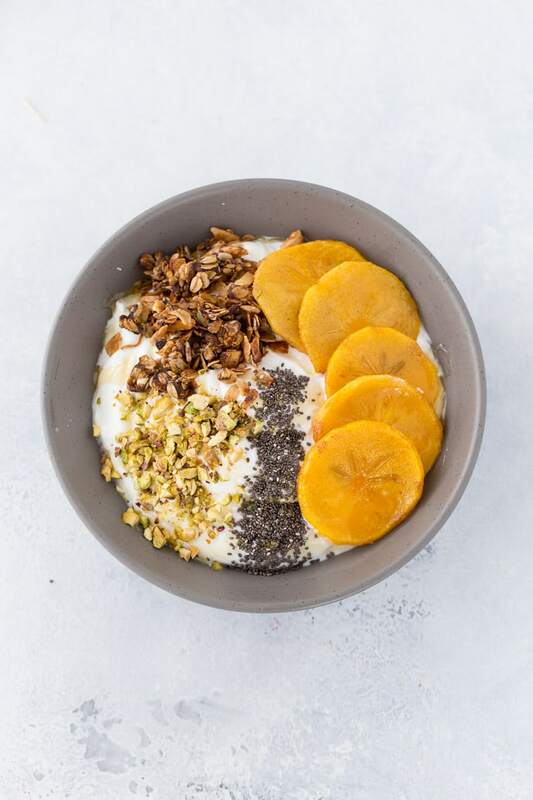 I used plain 0% fat greek yogurt as the based and topped with roasted persimmons, homemade coconut granola, pistachios and chia seeds, all drizzled with honey and a sprinkle of sea salt. Lots of crunch and good-for-you toppings and diet-friendly if you are on one at this time of the year. In a small bowl, toss persimmons gently with oil. Spread persimmon on baking sheet. Roast for about 30 minutes or until persimmons are tender and not mushy. Let cool completely before using. Place yogurt in bowl. Top with roasted persimmon, pistachios, granola, chia seeds. Drizzle with honey and sprinkle with sea salt. I’ve never had one – like a pear and a pumpkin?! That has me really curious! Your presentation is gorgeous. I love the first and last photos. This is a great healthy treat, Zainab! I keep seeing persimmons at our local produce market but never had an excuse to buy some–can’t wait to try this! I have never had a persimmon before, sounds like something I need to try! I could definitely use some lighter-dessert options right now. What a gorgeous dish – those colors are beautiful! I had a persimmon for the first time a few years ago – I thought it was so pretty so I bought it at the market and then had to google how to eat it b/c I wasn’t sure! I love the idea of roasting them, I bet they taste absolutely amazing! Thank you very much Cate!! Roasting them did make them tender and worked great as a dessert! I’ve been craving lighter desserts, too. (Well, by craving I mean I know I shouldn’t eat that piece of cheesecake that I stashed in the freezer.) This looks amazing…although I must confess that I’ve never eaten a persimmon. Maybe this idea will be a good way to start! 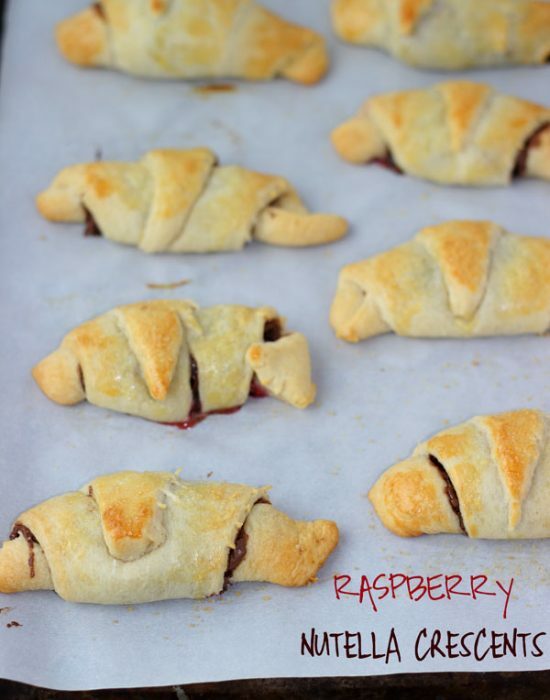 This sounds like such a great snack or dessert! I don’t eat persimmons much, but I’m definitely going to try them this way the next time I buy them! i could eat these for dessert or breakfast. I have eaten persimmons growing up but since moving to US, not so much. thanks for the reminder. So true, this will make for a great breakfast and/or snack!! Thanks Dixya!! I’m crazed about persimmons and use them anywhere and everywhere I can. Roasting is such a wonderful idea, especially with Greek yogurt and pistachios! This is the perfect dessert for my healthier eating right now! Thanks Marcie!! I am glad you love them already. Many people haven’t tried them or heard of them. LOVE this recipe, Z! I’ve never roasted persimmons before and I just adore Greek yogurt. As for pistachios…I could eat them by the pound! Lovely photography here, too, m’lady. Thanks for sharing! Thanks Stacy!! I have the same issue with pistachios…can just keep eating them!! Too bad they are expensive. Yes!! I am sure you will love them 🙂 My friend’s picky 15 month old baby loved them if that helps lol! I’ve never had one either! Looks scrumptious though! I’m going to have to try this one morning considering I eat greek yogurt every single morning! Yes you MUST try dear!! It will make for a great breakfast!! I sprinkled some granolas over mine too. I have never even heard of these, apparently I need to branch out on my fruit! This looks delicious! I love the salty addition with the pistachios. 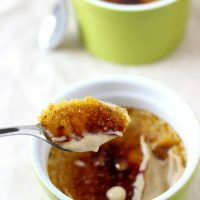 I am all for having lighter desserts after the holidays and this sounds like the perfect thing to try! I need this in my life right now! I gotto use more of persimmon, this recipe sounds like a fun and interesting way to use up the fruit. Great looking and healthy start to the morning. P.
I’ve never had fresh persimmons. I’ve had the frozen ones sold at Trader Joe’s, but never fresh. 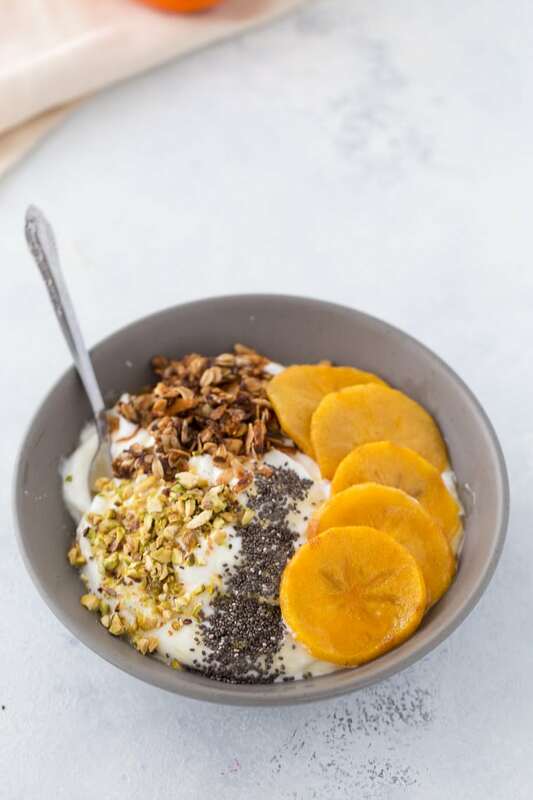 This yogurt dish is actually pretty healthy and would make a great breakfast! If I ever find persimmons where I live, I’ll have to pick some up and try this recipe! I didn’t know they had frozen ones!! Interesting. I will have to try that except we don’t have a Trader Joe’s here in Upstate. So so annoying!! I’ll have to just send you some fresh persimmons then 🙂 I know you will like them! Confession: I’ve never tasted persimmons but I doubt they grow here. Thanks for reminding that I need to try them on my next visit to the US! This looks so simply delicious; I also love sweetening my greek yogurt with honey. Pinning this 🙂 . I don’t think they grow in tropical places like Jamaica and home. But you should definitely try it next time you are around here!! I really love persimmons and this presentation is so elegant Zainab! Beautiful photography too! Thank you so much Trish! I tried some of the dark board tricks we picked up in MN. Persimmons! Wow, I’ve never tried them but the idea of something that tastes like a pear-pumpkin hybrid sounds really intriguing (I can sort of imagine the taste and I’m liking the idea!) What I do know is that Greek yoghurt with honey and any kind of nuts and/or fruit added is one of the most delicious tastes in the world. I’ve lived in Greece for many years and this is a staple on cafe menus. P.S. Just discovered this blog and I think it’s lovely!! I remember the first time I had persimmons. My mouth totally did a happy dance! I love this and I bet they are fabuous roasted!! Liz, mine totally did too!! They were great roasted…even better if I can say so. Hope you have a great weekend! Thanks Allie!! Please let me know if you like it. It was interesting at first but I was definitely into them! Ok, need to try persimmons! I’ve never had them before but I have seen so many recipes for them. Love this light and healthy dessert. You pictures have been looking awesome lately! Pinning and sharing on social media Zainab! Thank you Krista!! You need to try them soon indeed. So delightful and you know one can never have too much fruit! Thank you for sharing on social media 🙂 Have a great weekend and see you at the party tomorrow! Absolutely girl! 🙂 It sounded amazing, and so true on the fruit. It has been my “dessert” this week. See ya tomorrow chica! Dear Zainab, I agree. 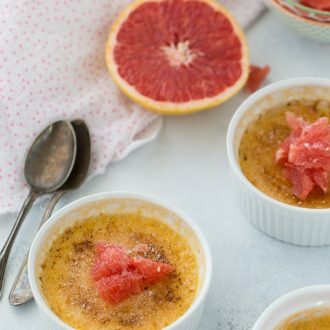 It is time for the healthy, yet sweet and refreshing desserts to get ready for the spring!! This looks amazing! 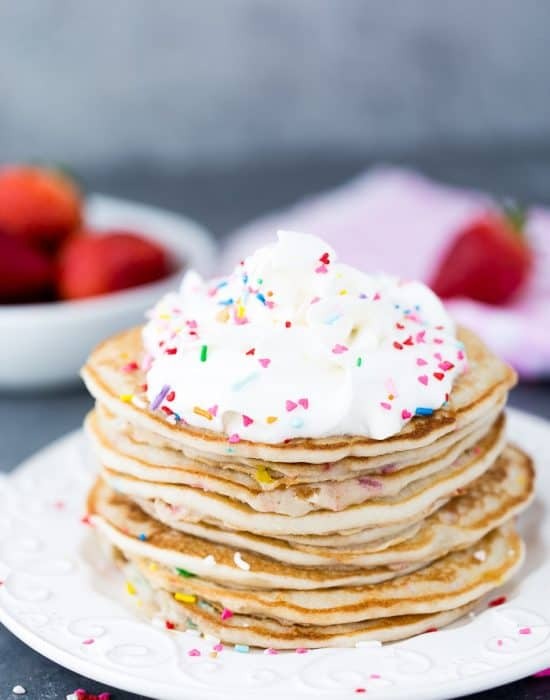 Such a perfect snack or dessert — or breakfast! I’M FREAKING OUT OVER THIS RECIPE. I’ve done persimmons and pistachios at home ALL THE TIME and you just did it too and I love it!! I need to try roasting them! Really? That is so cool Shikha!! It’s a great combination of sweet and salty! If you try them roasted, please let me know!! Angela, I wish I had a tree!! You should definitely get some and try them this way! You know, I’m not really a big fan of persimmons. But I think its because I never know how to use them. I’ve never tried them roasted and with green yogurt and pistachios, this looks perfect! Have a great weekend, Zainab! Hahhah you should try it sometime soon!! You might love it 🙂 Hope you are having a great weekend. I was only introduced to persimmons a few years ago as well, when I went to Cali!! And I fell in love. You’ve served them so perfectly here…simple yet refreshingly delicious. Thank Joanne. Cali seems to be the place to discover things!! Hi! I found your blog through the Saturday Night Fever link party. This looks amazing; I would never think to roast persimmons. What a great idea, and probably yummy, too! I’ll definitely have to try this out! Thanks! I am so glad you found me and I got to read your blog too. Love your writing and recipes. Hope you have a great week!! 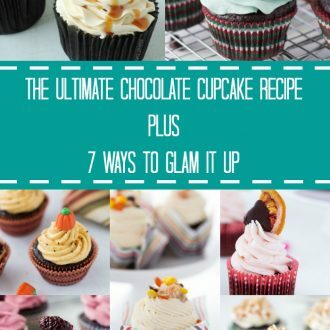 I’ve never heard of this recipe before but it sure does look delicious! 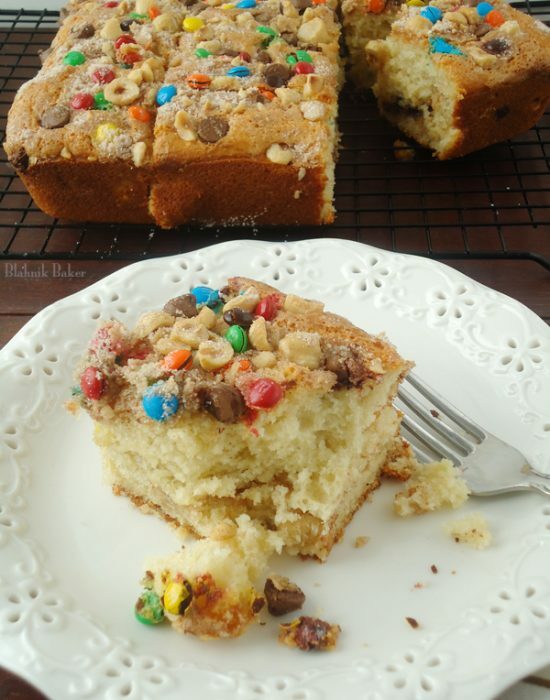 Wow – looks delicious – thanks for bringing this tasty dish to Marvelous Monday – Pinned to my board! Have a great week!! Thanks Deb! Thank you for hosting every week 🙂 Hope you have a great (warmer) week! I have to give persimmons another try! It looks delicious! I know Samina!! Light desserts are calling my name. You need to try persimmons if you find them in India. I feel like you do because I remember seeing them on Passionate about Baking’s blog but I could be wrong. I have never had persimmon before! This dish makes me want it right now, though! It looks amazing! I don’t think I’ve ever tried a persimmon, but that looks delicious!